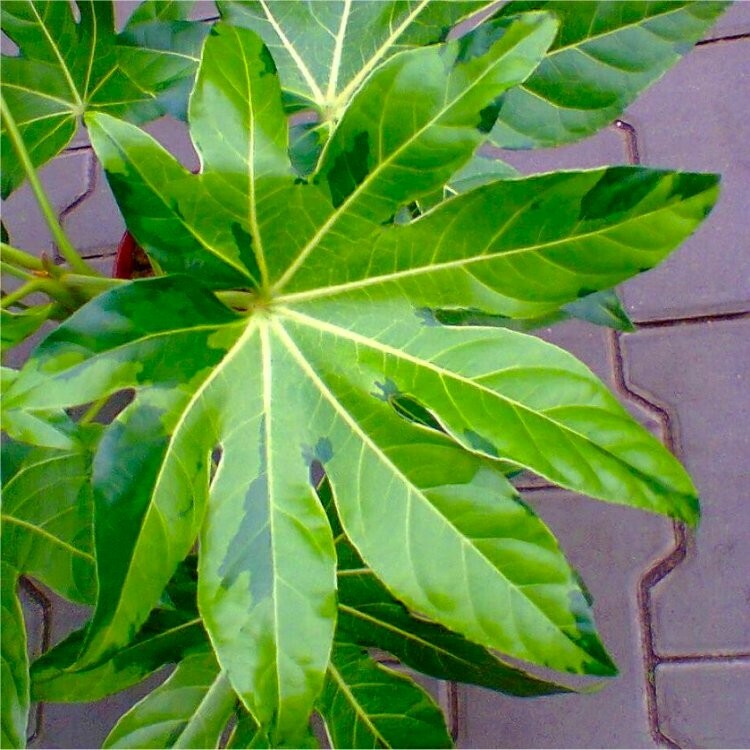 Fatsia Annelise is a fantastic evergreen with a tropical look, perfect outdoors in the garden or used inside the house too. 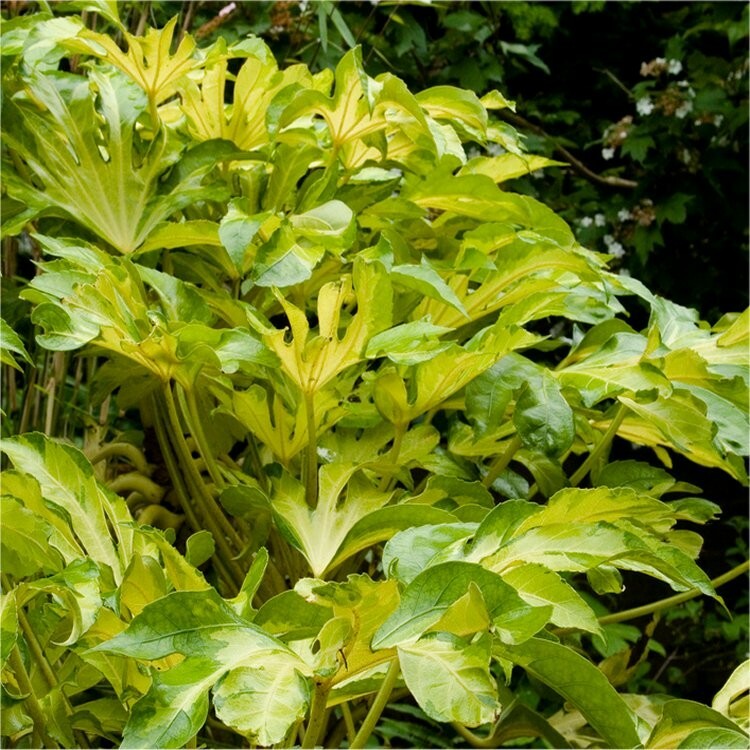 Robust plants with thick erect stems support huge dark palmate leaves smudged with golden-yellow and lime green, making it perfect for a tropical or jungle style garden, as a feature plant in a mixed border or even displayed in a larger planter. In autumn, roundish clusters of small cream flowers appear, often followed by black colour berries. Reaching 6-10 ft. tall it is fully frost hardy, perfect in a sunny spot, it also does well in the shade where it benefits greatly from just a little extra attention over other plants with feed and water. 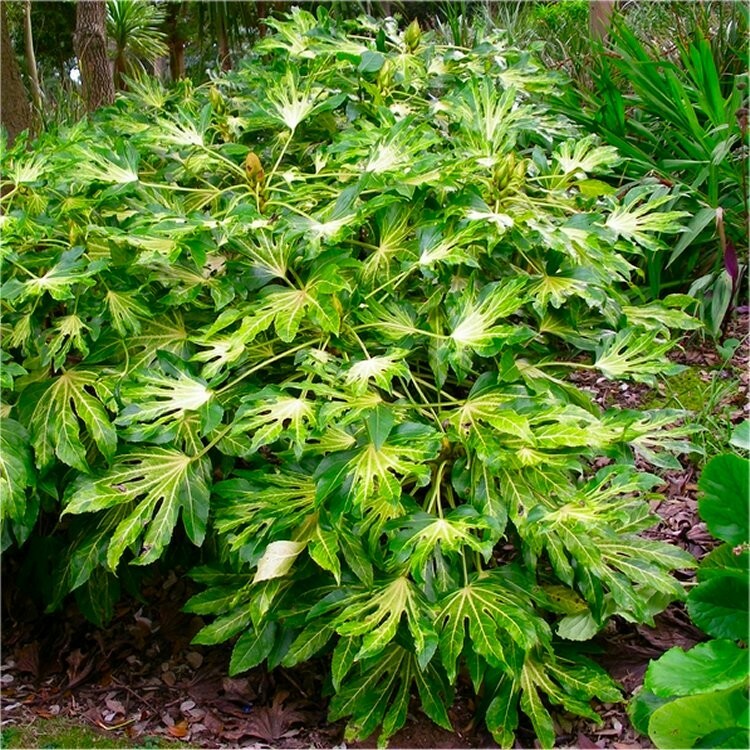 A showstopper in the garden and a great way to brighten a dark corner, this Fatsia also makes a great talking point - these golden variegated Fatsia plants are an extremely rare plant to find. Supplied in approx 1-2 litre containers.